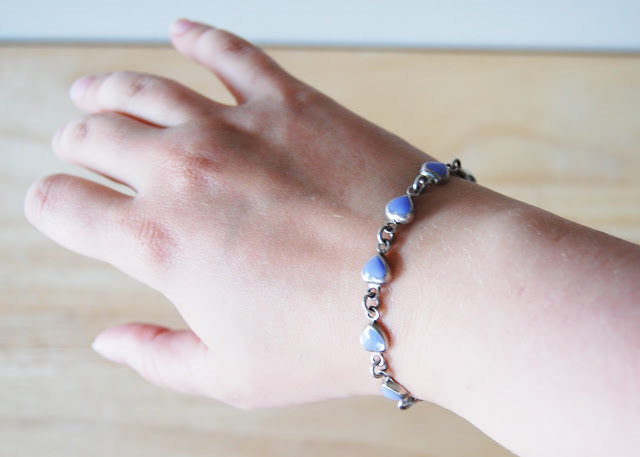 I want to show you this simple little bracelet that I found hidden in a jewellery box in one of my dresser drawers. I had completely forgotten about it. I only vaguely remember where it might have come from -- a family friend after a vacation that they took somewhere -- and I have no idea how long I've had it for -- at least since my middle school years. isn't it crazy how we can hang on to things for so many years and not realize it! It's funny how we can appreciate things more if we wait a couple of years.